Image by Hajime NAKANO. Some Rights Reserved. Japan's NTTCom Online Marketing Solutions Corporation, the provider of an internet survey service called goo Research, released the results of a survey on March 7, 2013. 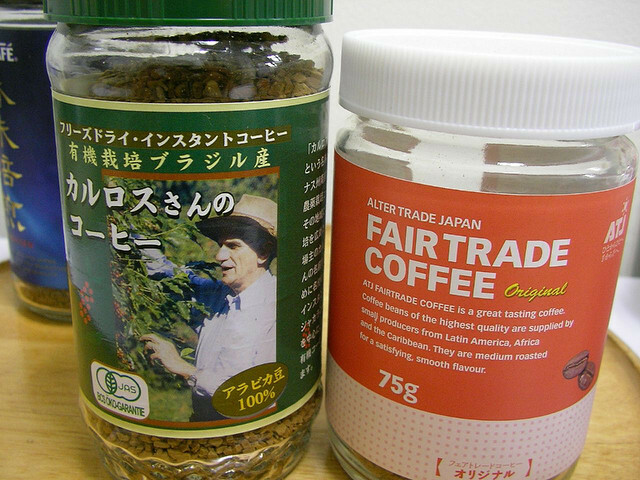 According to this survey concerning the popularity of fair trade goods in Japan, Japanese fair trade awareness was 43.8%. Among those who knew about fair trade and also purchased such goods, 65.2% were female and 46.2% were male, a significant gender difference. 70.9% of fair trade purchasers bought the goods because they "simply liked the goods," the highest among the reasons. Meanwhile, 53.6% of respondents said they want to buy fair trade goods, about 60% of whom said they want to purchase fair trade goods even if they are more expensive. On the other hand, the reasons why respondents are not buying fair trade goods include a lack of information on where they are available, a poor variety of goods, and so forth. The research targeted registered goo Research monitors, and produced 2,350 replies from both males and females in their twenties and older.